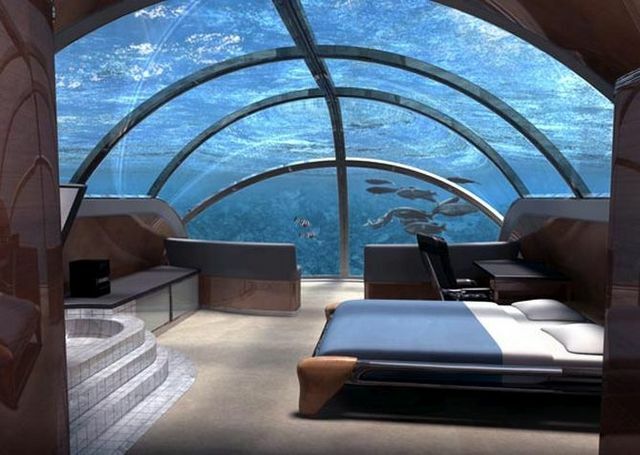 At 21 feet below the surface, Jules Undersea Lodge in Florida brings a whole new meaning to the phrase sleeping with the fishes. It’s the world’s only underwater hotel, where guests can stay overnight -- and that includes a Papa John’s pizza for dinner. To reach the lodge, which started life as a research laboratory, guests have to scuba 21 feet down into the sea, which is brimming with reef fish, tropical angel fish, snappers and barracuda.